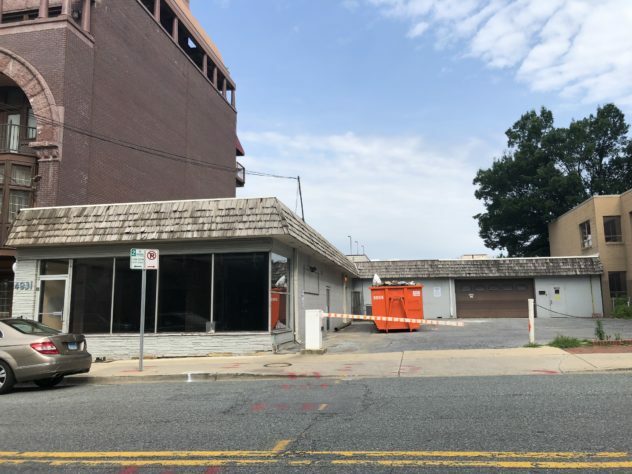 Flash Sideways Studio arrives in Bethesda! 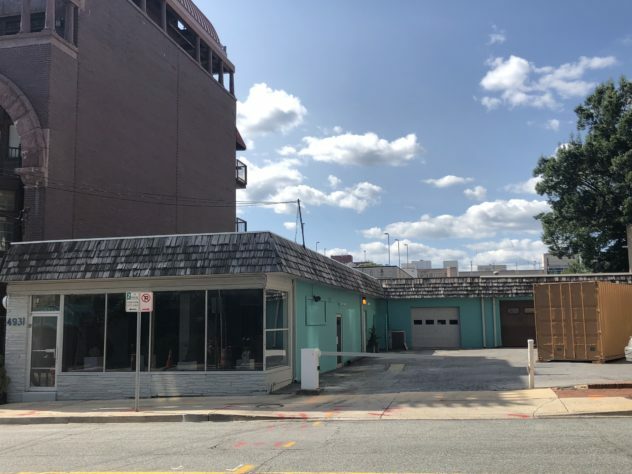 I need more space to create the six large-scale installations that comprise the Empty Fix Project and developer Eddie Lenkin has a building that will be vacant until development plans are completed. It is a win all around, including for the local community. As I was refurbishing the building, passersby would stop to inquire about the activity. A big question was what color would I paint the building. Their interest helped me realize that they have a vested interest in the building. I would be working inside, but they would be viewing the building each day on their daily commute, when heading out for coffee, or while walking the dog. We should all take into consideration our effect on the vibe of the community. 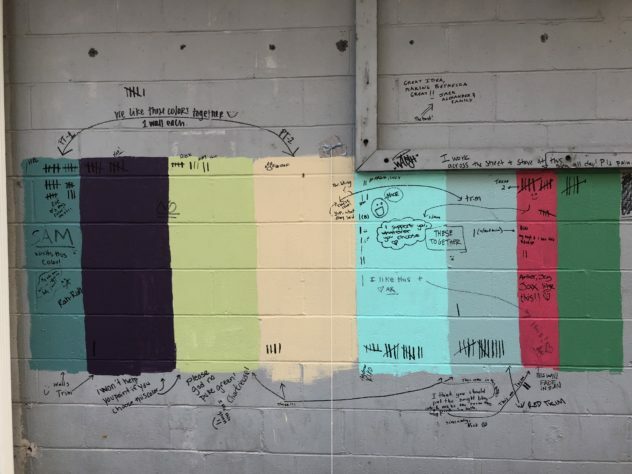 So I let them vote on the building’s paint color! My favorite comment was from the guy who works right across the street and wanted me to paint the building red. Unfortunately, he (and I ) were outvoted. 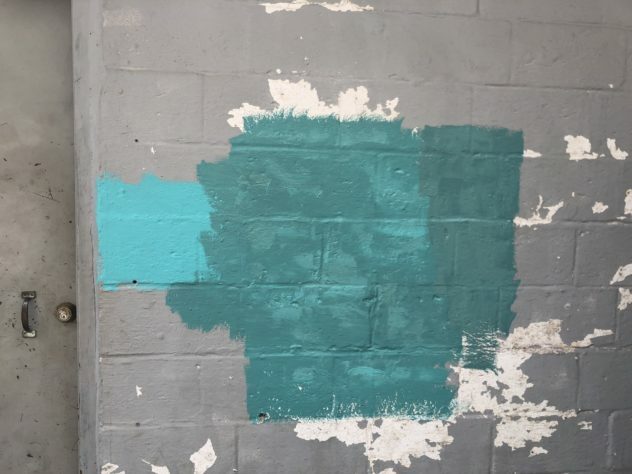 The top two colors were the teal on the far left and that vivid aqua color. Unwilling to choose one color over the other, I let them all win! I mixed those two colors together, adjusted the tint slightly, and 4931 Fairmont is a bright new arts space.